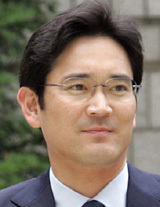 Lee Jae-yong, the eldest son of Samsung Electronics Chairman Lee Kun-hee, was recommended on Friday as one of the independent directors of the board at Exor, the Agnelli family's investment company, which controls carmaker Fiat-Chrysler. Lee, who is the president of Samsung Electronics, has apparently accepted the post. It is rare for a manager of a local business group to become a director at a foreign multinational. Exor is the holding company of Fiat-Chrysler, which also includes luxury brands Ferrari and Maserati. It also holds stakes in the Italian football club Juventus Turin.